Can Roulette Betting Systems Beat the Casinos? If you’ve played Roulette for any amount of time, you’ve undoubtedly encountered people with ‘fool-proof’ systems that guarantee consistent wins. Most of the time, these people are even generous enough to offer to sell you their secret. When faced with the potential of winning every Roulette session you play, whatever amount they charge seems like a small price to pay for unlimited profits. Tip: At BestRoulette, we have a secret of our own and –unlike everyone else’s– ours is free: There is no such thing as a guaranteed betting system for beating Roulette. How can we say this so unequivocally? 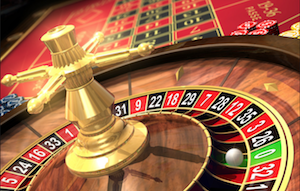 To understand why roulette systems don’t work, it’s important to understand how the game works. Like all gambling games, roulette is fundamentally based on math. A standard Roulette table has 38 numbers on the felt (0, 00, and 1-36) with only one possible winner per spin. This means the odds of winning on a specific number are 37-1. This is something that never changes. Each spin of the wheel produces a random result – something else that never changes. This is why betting systems don’t really work in the long run. The Pivot method requires you to watch a series of spins on a table and wait for a number that comes up twice in the sequence. So in a sequence such as 17, 30, 0, 24, 30, the number 30 would be considered your pivot number. You will then bet on that number for the next 38 spins. The Pivot Method – Winning Strategy? Can you win with the Pivot Method? Sure. The problem is the odds of the number 30 coming up are still 37-1 with a 35-1 payout. 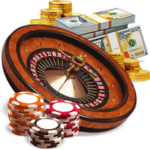 Not only are you facing some pretty heavy odds against your number hitting, but the payout structure of Roulette dictates that you’re paid slightly less than the true odds of winning. Fancy terms like “the theory of uneven distribution” can’t change that. 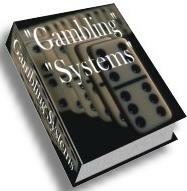 Other systems use the same principle but require you to place split bets on multiple numbers. For example, one such method asks you to make 6 split bets giving you 12 numbers to work with. If any of these numbers hit, you are paid 17-1 and parlay your winnings on the same numbers. You do this three times for a win of 153 units before leaving the table. Again, the problem with this system is the fundamental math behind Roulette. Taking each bet independently, the odds of your number coming up have halved from 37-1 to 18-1. Your payout is –again– slightly less than the true odds. Couple this with the fact that this system requires you to win on three consecutive spins and you can see why this method, called the 12/6 System, is a loser. Unlike these two systems, the worst system isn’t actually based on the type of bet you make but, rather, on the amount you bet. It’s called the Martingale system. We consider it the worst system because it generally sounds so reasonable on the surface. It’s a simple system that requires you to double your bet after a loss and return to your starting bet size after a win. Is The Martingale The Best Betting System? Here’s the problem with the Martingale: You are not guaranteed a win. By doubling your bet after every loss, you are increasing your risk for a small reward and a bad sequence of losses can either wipe you out or –if you have a large enough bankroll– eventually cause you to meet the table limit. This puts an end to the system completely. All roulette systems are based on one of the two theories explained above — either the types of bets you make or the amount you risk on each bet. Keep this in mind and you’ll be able to avoid wasting money the next time someone offers to sell you their latest unbeatable secret. If you need any further proof, just ask yourself: Why do casinos welcome roulette system bettors with open arms? Yet, casinos spend millions on security against Blackjack card counters who eek out a tiny edge in that game. Instead of betting on systems which are doomed to fail, there are some more sensible ways of getting the most from Roulette games. 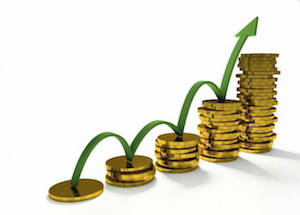 Taking advantage of the bonus offers that online casinos give you is a great way of making your bankroll last longer. These can be very generous, though you’ll need to pick the right ones to ensure that Roulette games count towards the wagering requirements. 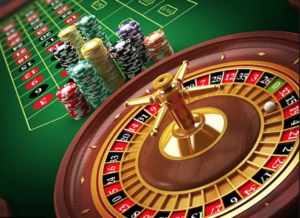 Check out this page on the Best Roulette Sites for the latest offers.